These bananas have been staring at me accusingly all week. When doing the online shopping last week, I somehow over-ordered and we ended up with 16 bananas. Given that I’m the only one who regularly eats them (the smell alone makes Sophie retch), I knew I’d have to come up with some creative ways to use them up. I found this recipe on the wonderful Lemons and Anchovies blog. I don’t know why I’d never thought to combine bananas and Nutella in a cake before, when I regularly slather my bananas in Nutella (when I’m not just eating it off a spoon, that is). Grease and line 2 medium-sized loaf tins, and preheat the oven to 170˚C. In a bowl, combine all the dry ingredients and mix well. 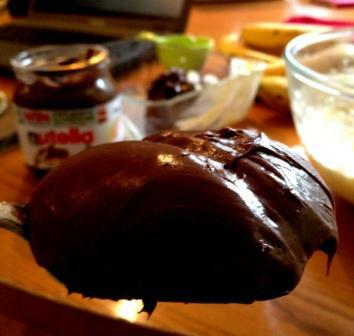 In a separate bowl, stir together all the wet ingredients, except the Nutella. Pour the wet mixture into the dry, and stir until well combined. 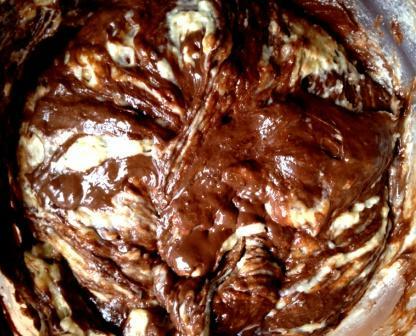 Melt the Nutella in the microwave for about 45 seconds, until almost runny. Be careful not to overheat, otherwise the Nutella starts to separate. You want it the consistency of cream cheese. Once melted, tip the melted Nutella into the mixture and stir briefly through with a wooden spoon, then pour into the two loaf tins. Bake until the tops of the loaves are turning golden, and a skewer inserted into the middle comes out clean – roughly 45 mins. Allow to cool for 10 mins in the tin, then turn out onto a wire rack. 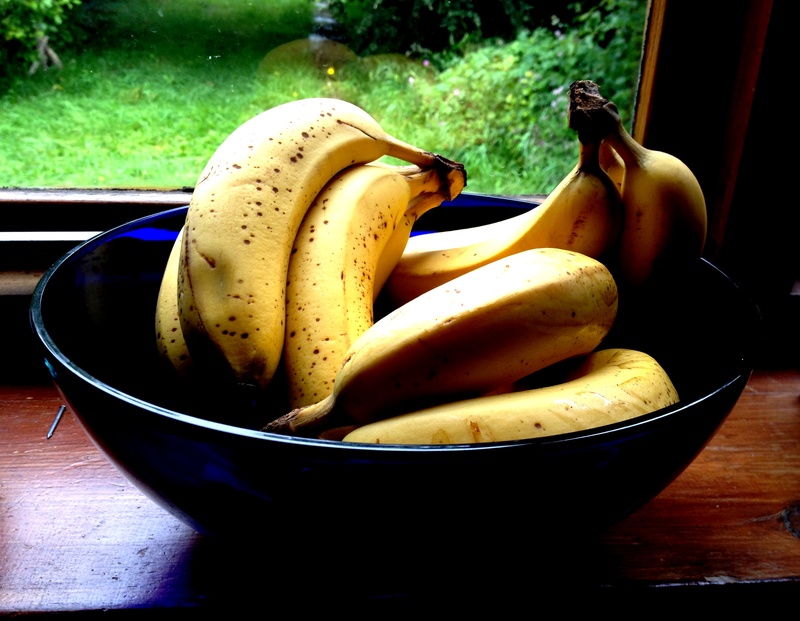 Use really ripe bananas for this to keep the texture nice and moist. Feel free to leave out the chocolate. Raisins worked well too as a healthier seeming alternative. Don’t do what I did and overestimate how much will fit in one cake tin. Despite wishful thinking on my part (it won’t rise too much, right? Wrong), my first batch exploded all over the oven, giving the butternut squash that was roasting below an interesting chocolatey taste.